Another pretty piece of meat being well-treated in the Wonderbag! A chuck steak of venison cooked in bone broth seasoned with garlic and rosemary. 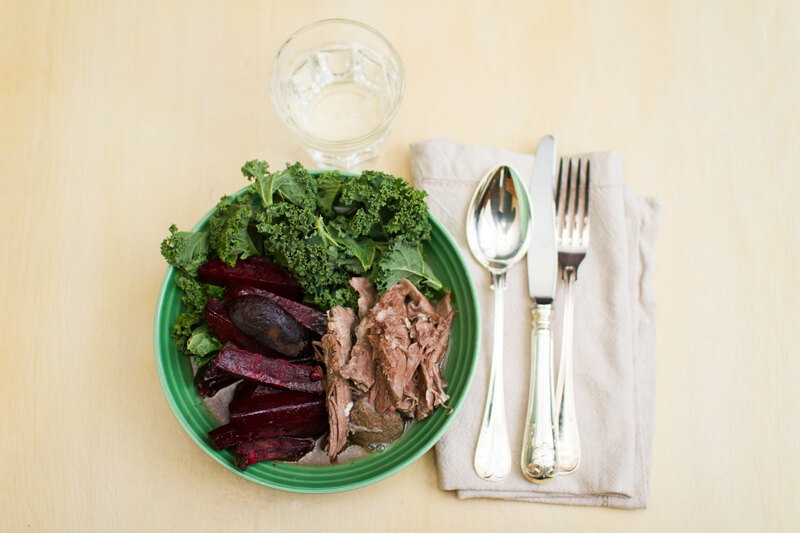 Slow cooker venison chuck steak with beetroot fries and green kale. 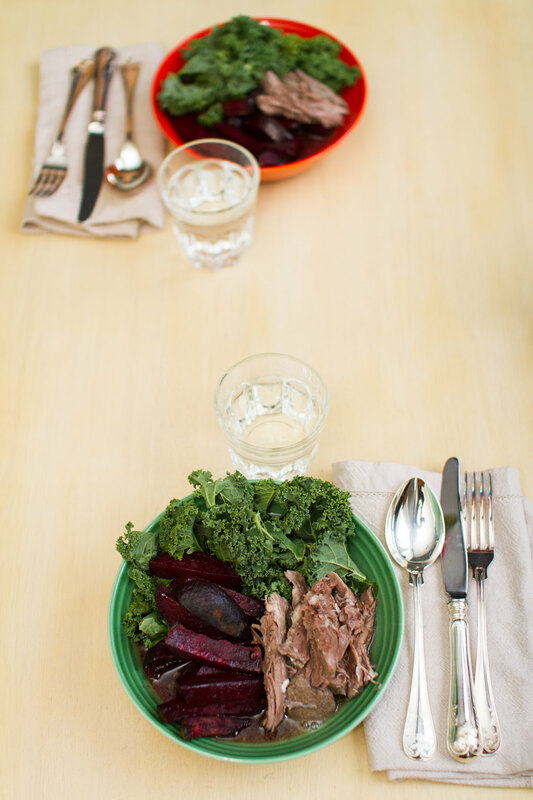 The stew was served with oven cooked beetroot fries and fresh green kale. 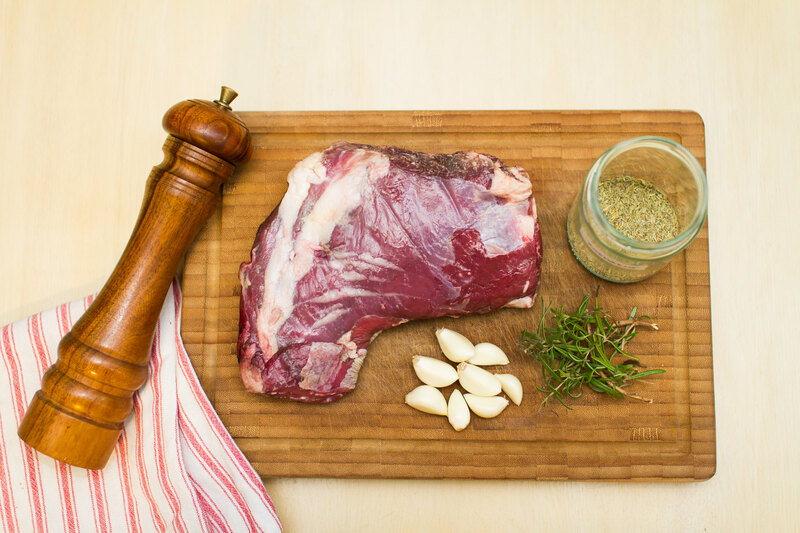 The venison chuck steak, garlic and rosemary! Add all the ingredients except the white wine vinegar in a pot and let it cook for about 30 minutes on the stove, make sure there is enough liquid to cover the meat. 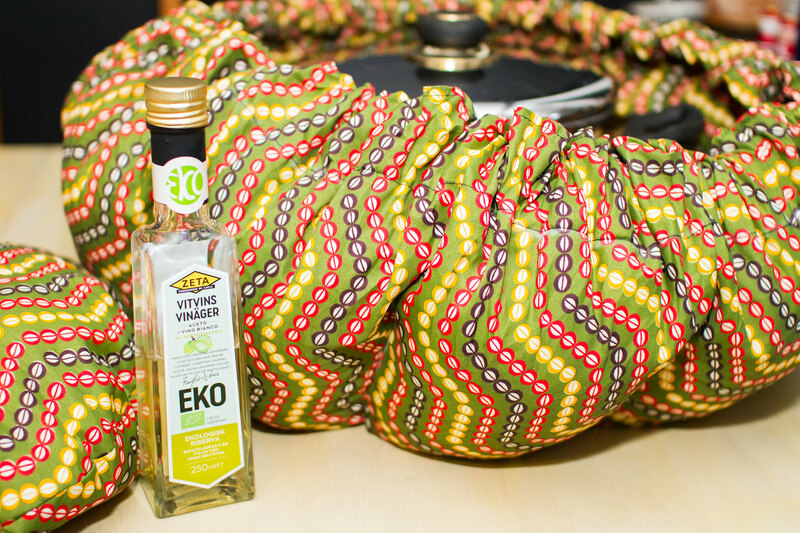 Add the white wine vinegar after taste before placing the pot in the Wonderbag for at least 8 hours, I left it overnight. Unpack the Wonderbag and let the pot come to boil again on the stove and maybe reduce slightly. 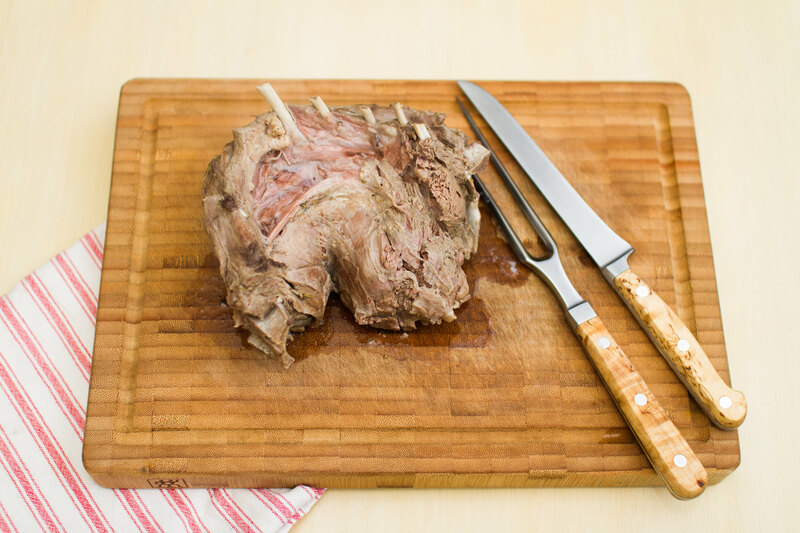 Remove the venison meat from the bone, which should be really simple because it is so tender! Tender venison chuck steak cooked in the Wonderbag. It is very nice to serve fresh green kale to any stew because it will soften slightly from the stew stock. The beetroots are such a great taste combination to the garlic and rosemary.